Route #1 leaves from The Yacht Harbor at 267 Nautical Dr. just off Hwy 42/57. We sail under the Oregon Street and Michigan Street Historic Bridges in Sturgeon Bay then past the shipyard where you can see the operations of a working shipyard. 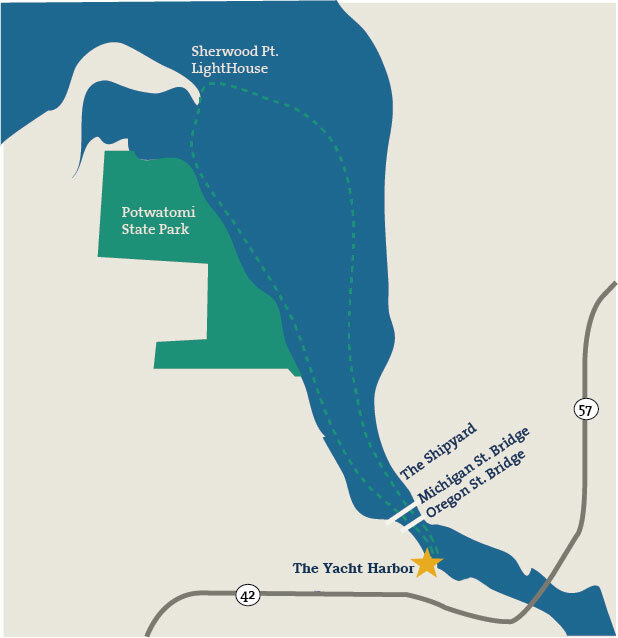 We continue past Potawatomi State Park and out to the mouth of the Bay to Sherwood Point Lighthouse, then back. We leave from The Yacht Harbor at 267 Nautical Dr. just off Hwy 42/57. 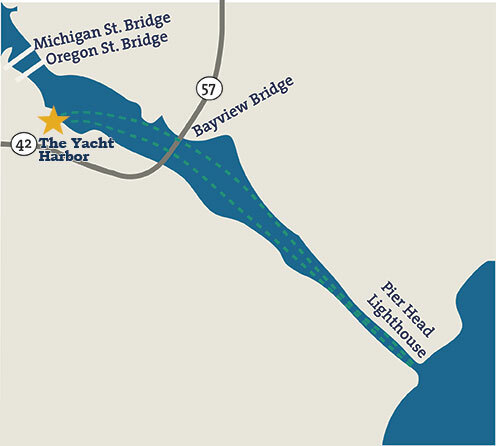 We head out under the Bay View Bridge, and we continue out the Sturgeon Bay shipping canal to the US Coast Guard station and the Pier Head Lighthouse, then back. We’re happy to plan custom, personalized private, romantic boat tours and routes on request.